Mr Pierre Fabiani is the Total Group representative in Iran. He likes this country and its people very much and is an avid reader of Events magazine. Events- How long have you been in Iran, in your present position? Pierre Fabiani- I just came back to Iran last summer, after 25 years. I find that many things have changed, such as Tehran itself with 14 million people. When I came here first time it only had 3 or 4 millions at the most. This was really a shock, but what was a real pleasure was to find again the natural welcome extended to foreigners by Tehranis and Iranians in general. It is as warm and deep as ever. E- Are you involved in condensates as well as oil and gas? 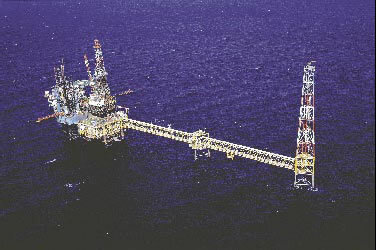 PF- Total's activities are mainly in oil and gas. As a matter of fact, Total was the first International Oil Company to resume operations in Iran, more than ten years ago. We started with the very first Buy-Back Contract, namely Sirri A and E, followed by Balal, South Pars 2 and 3 and Dorood, which is still in its final stage. So, we worked both on oil fields and gas fields. In the near future we will be dealing mainly with gas through a fifth Buy-Back Contract, the South Pars 11 Project, connected with PARS LNG, which is an Iranian company in partnership with NIGEC for the liquefaction and the marketing of 10 millions tons of LNG per year. After having been in the origin of the development of the Assaluyeh area with South Pars 2 and 3, we are now at a new frontier, Tombak. Obviously, in parallel, we are also tendering for oil fields, both new developments and enhanced recovery schemes. Total is the world's fourth largest international oil and gas company which covers the entire oil and gas chain, from Exploration and Production and the Gas Downstream to Trading, Shipping, Refining and Marketing, as well as Chemicals. Total has its 110,800 employees in more than 130 countries produce's 2.5 million barrels of oil equivalent, per day, and refines 2.7 million barrels per day from 28 shared refineries and 13 fully operated refineries. 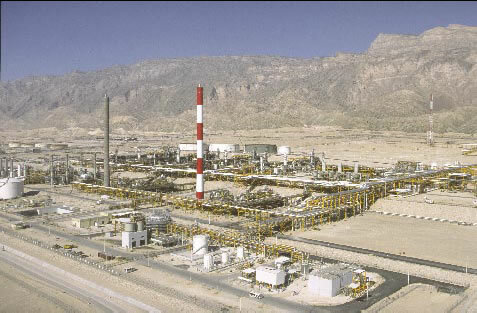 Total's subsidiary ATOFINA is the world's sixth largest chemical company. Total is also a front ranking player in the LNG market with strong position in liquefaction plants, distribution networks and power generation. Total also promotes renewable energies. E- What else do you do in Iran? PF- Total is also producing and marketing top-quality lubricants for cars, heavy industrial machinery, marine vessels,... through Beh-Total, a 50/50 Joint Venture with Behran Oil Co. The next step of this successful association is the construction of a high technology grease plant, which shall come into production by mid 2006. Besides these two main areas of activity, we are also very active as a major customer of Iranian oil and condensates as well as a chemicals supplier. We also try to take part in the local sustainable development by sponsoring students, scientific conferences,..., by training our personnel and also by participating in the reconstruction of the Bam hospital. Our present view of our downstream activities is that they take place in a very competitive market, a real market of 70 million people, the biggest by far in the region. Although large import duties, heavy and complex administration,... are not easy to live with, we hope this will improve at least with the eventual joining of WTO by Iran. We are determined to develop sound and profitable opportunities in Iran. As to upstream, many difficulties exist in Iran, especially in adapting the Buy-Back concept to the real question of tomorrow, i.e. the improvement of production and recovery of old fields as well as attracting companies to explorations. E- How do you like working with Iranians? PF- Working with Iranians is socially very nice and intellectually very challenging, since I find here top level competencies in both negotiations and logics, but the most difficult thing for a new-comer, is certainly to understand the decision making process in a country where consensus is a fundamental pillar of the culture. I finish my remarks by stressing that our presence and our work in Iran is in a continuous and trustworthy way.